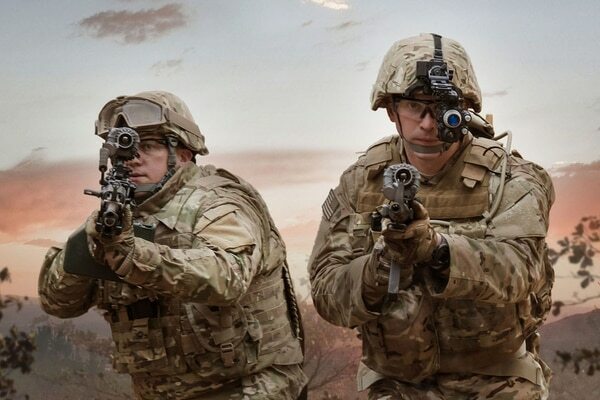 A new combination of advanced night vision goggle is merging day/night vision, thermal viewing, weapon sight and augmented reality into one view that allows a soldier to see the battlefield while maneuvering. Think Google Glass, with a gun. And the head of the Army’s new cross-functional team focused on soldier lethality sees the device as a way to exponentially improve the dismounted warfighter’s battlefield awareness. Army scientists have devised a new way to make materials for night vision sensors that is cheaper and likely better than current methods. “This is a true, fundamental change to the capability we’re giving to our dismounted soldier,” said Brig. Gen. Christopher Donahue during a recent media roundtable phone interview. The Enhanced Night Vision Goggle, has been paired with augmented reality software and the Family of Weapons Sights-Individual, FWS-I, by the Army’s Communication-Electronics, Research, Development and Engineering Center and Program Executive Office Soldier to put all of the capabilities into the view of the soldier. 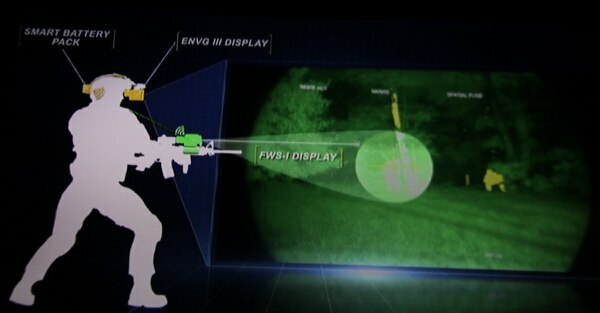 The weapons sight capability brings the weapon sight picture into the NVG goggles through a camera on the sight. This allows a soldier to shoot around corners without being exposed. It also can switch views from the sight to a picture-in-picture where the normal view is presented along with the weapon’s sight picture. 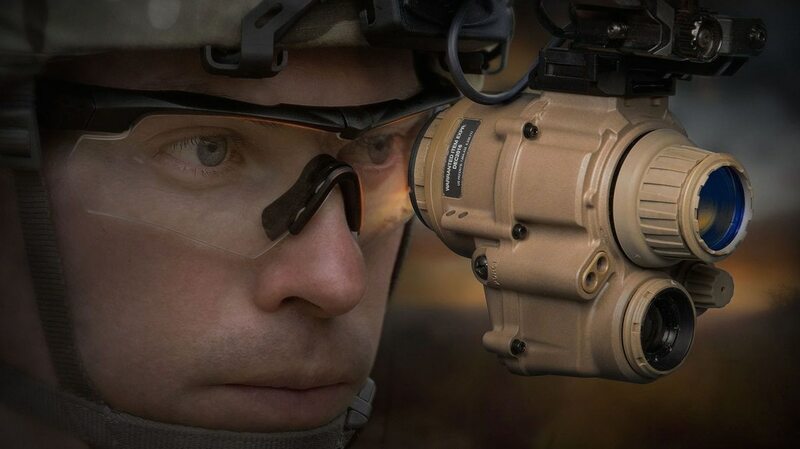 The company recently received two orders for a total of $97 million to produce the goggles and thermal weapons sights, according to a company release. BAE Systems developed a Rapid Target Acquisition Module to reduce target engagement time as part of building the new goggle. 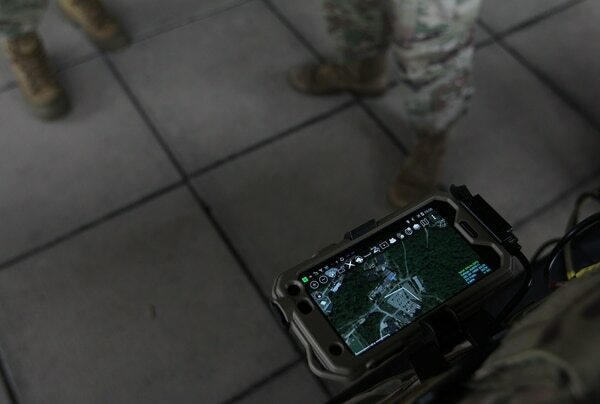 The augmented reality portion creates an almost individualized tracker that lets the soldier mark targets, pick waypoints while on patrol and share those digital icons with other members of the squad. Smialek said past night vision goggles didn’t have the capability to display video. Advancements in wireless technology have enabled the change. 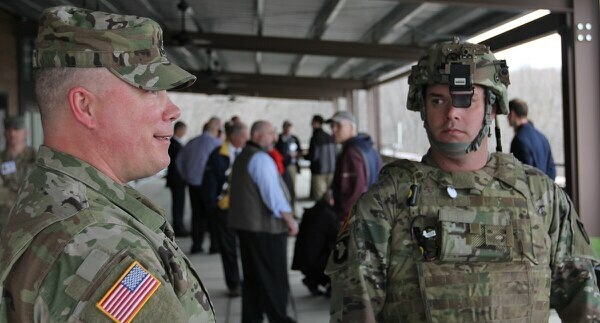 At a February demonstration at Fort Belvoir, Virginia, soldiers and researchers with CERDEC showcased the system’s capabilities. Sgt. 1st Class Clint Nelson wore a single-eye display device that shows augmented reality, currently in a monocular but likely to be integrated into a binocular-type night vision goggles. The binocular design allows for greater depth perception and more realistic viewing. He described standard land navigation in which a soldier shoots an azimuth with his or her compass and map and follows that line to the objective, adjusting around and over obstacles and re-shooting the azimuth to stay on course. He explained how these devices can help a soldier process massive amounts of data, especially in an urban operation. That helps a soldier in a confusing environment make sense of what he or she is seeing and what they’re fellow soldiers are seeing. 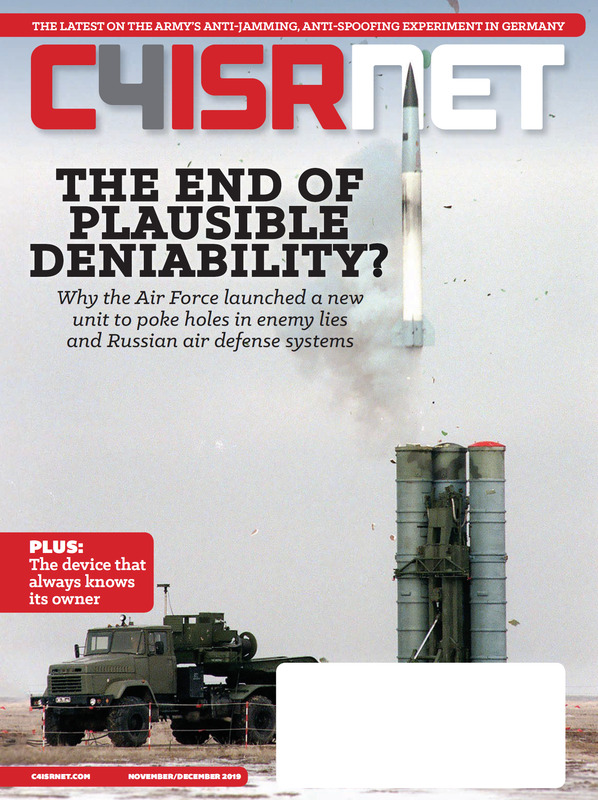 Identifying threats, friendly forces and enemy targets. Donahue said both the Marines and representatives of the special operations community are monitoring the device’s advancement.